I’m nearly finished sorting + editing Em’s birthday pics. 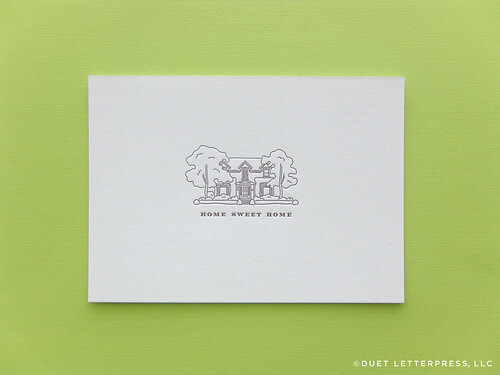 But before we reveal the invites for her fête, I wanted to share with you our latest house sketch. We completed a 5″ x 7″ print. 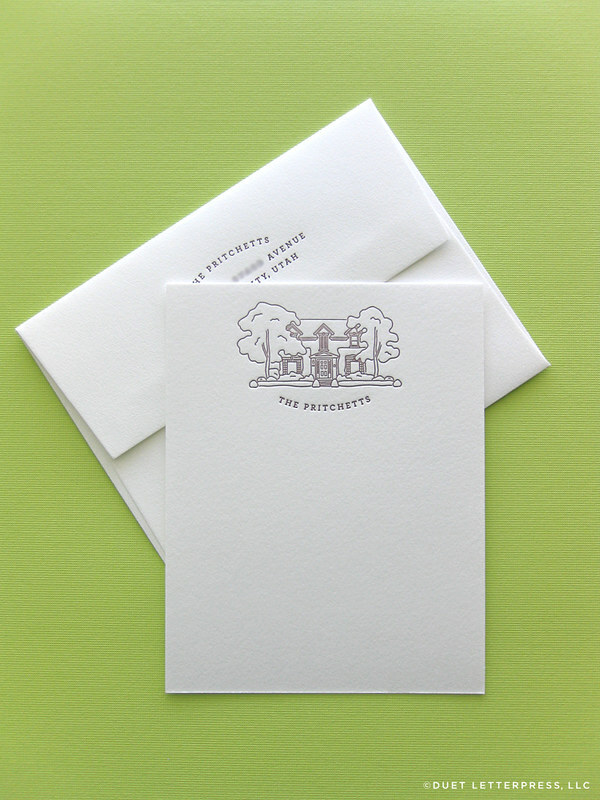 And, printed personalized note cards featuring their lovely home. Congratulations on your new home, P family! 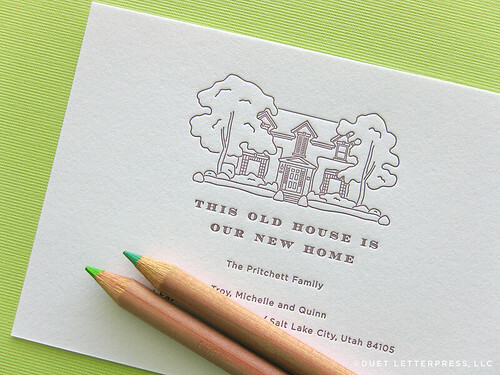 This entry was posted on Thursday, April 18th, 2013 at 2:18 pm	and is filed under letterpress. You can follow any responses to this entry through the RSS 2.0 feed. You can leave a response, or trackback from your own site. We are delighted with them and can’t wait to mail them out to all our friends and family.